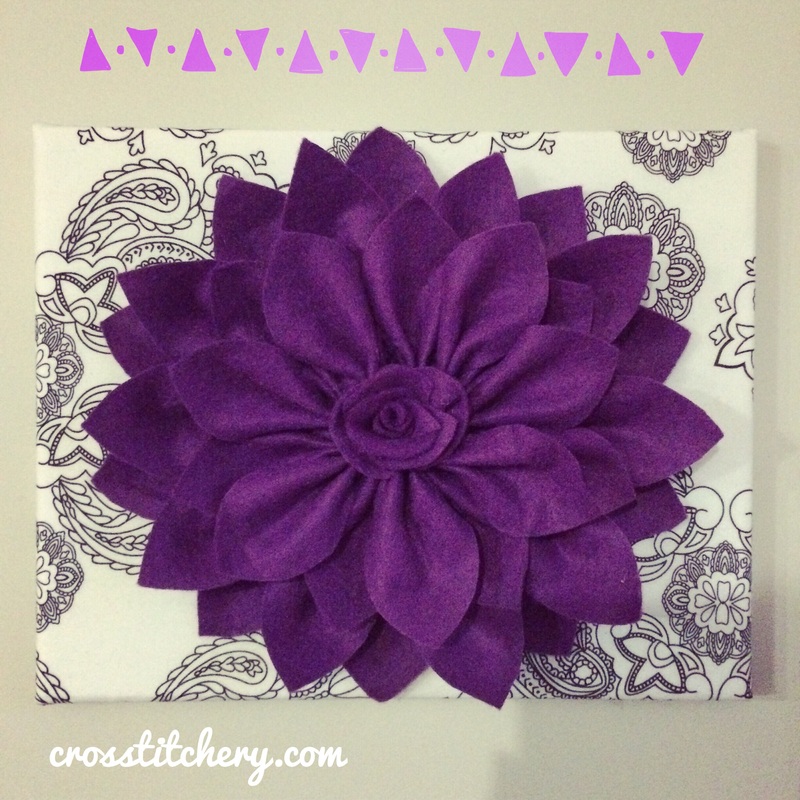 A few months ago I posted a tutorial for a DIY felt flower canvas tutorial. My latest commission was for one of these, and my client wanted a purple / black & white theme. I absolutely adore the black and white paisley inspired fabric used as the background fabric. I used a mixture of the original tutorial, and my own tutorial as the basis of making this. It’s such a fun, relatively easy project requiring only a few supplies, and most importantly, cost effective way of adding some personality to your walls. Even better, if you use temporary sticky hooks, you can spruce up a space and then easily take it down .. Bonus for anyone renting a house, or at university of college. I’d love to see yours if you end up making one!